Holidays are a BIG deal in my house. Even the little ones. My family will be celebrating Valentine's Day all week! Lily has a Valentine's Day Storytime tomorrow, Dylan and Lexie have their class parties on Thursday (I'm a parent volunteer for Dylan's party), my parents will spoil the kids with goodies and treats on Friday, we are having a special Valentine's Day brunch on Saturday, and that evening, Grant and I are going out to dinner. It's going to be a fun week! We don't have nearly as many decorations as we do for Halloween and Christmas, but I try to add some Valentine's Day decor throughout the house. I've been picking up a few things every time I go shopping. 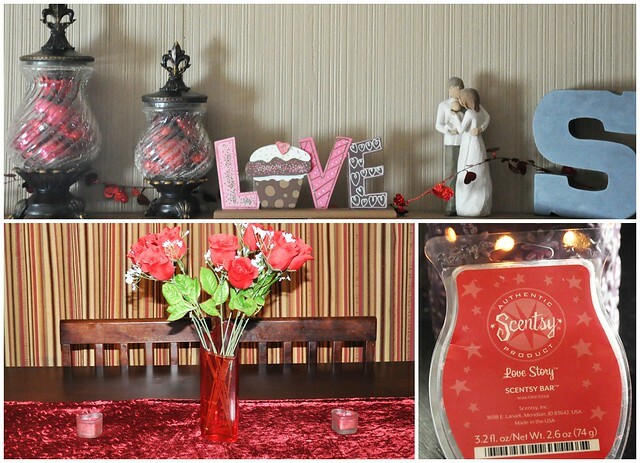 Today, I switched to a Love Story Scentsy Bar. My house smells so good!!! We're snacking on Conversation Hearts and Hershey's Kisses. I'm packing Little Debbie Snack Cakes and Iced Brownies in Dylan and Lexie's lunchboxes every day. I'm using my favorite mug, which was my Christmas gift from Dylan. 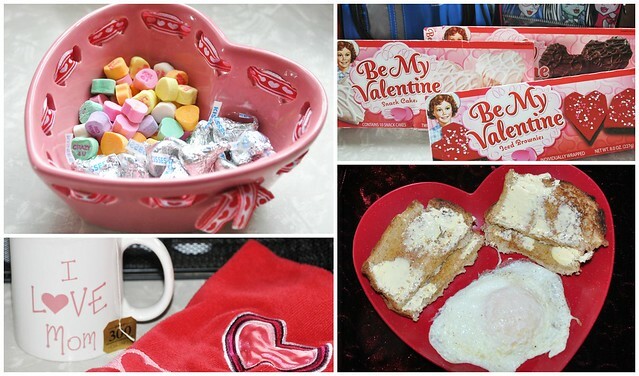 We're using all the heart shaped plates, Valentine's Day cups, and Valentine's Day bowls. 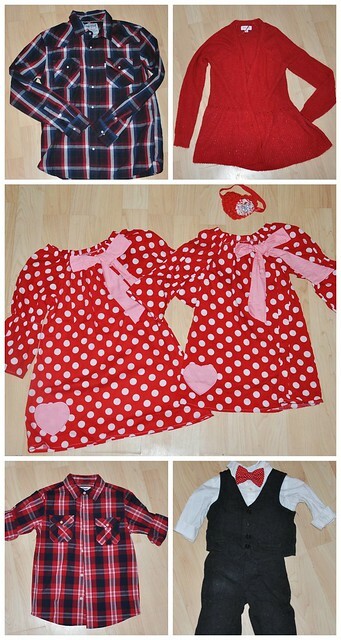 The girls are wearing heart-covered clothing all week, and Liam has quite a few adorable Valentine's Day outfits. Grant, Dylan, and I are just wearing red! Top Left: Levi Strauss & Co.
Dylan and Lexie are working on their Valentines. They each picked something they are really into this year. 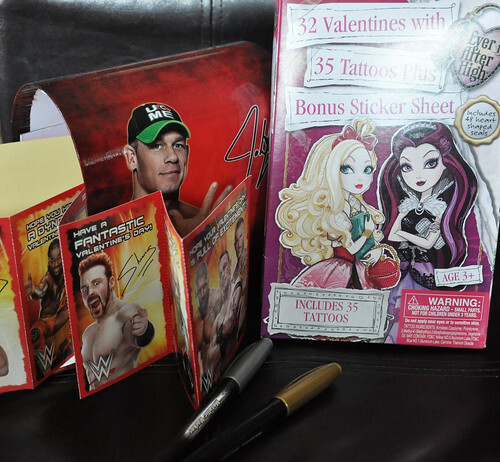 Which would be WWE and Ever After High! 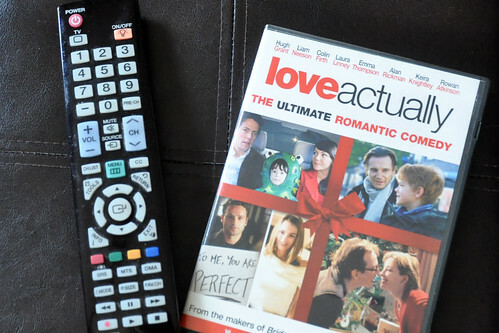 Love Actually! I love this movie, and didn't get a chance to watch it before Christmas. Now seems like an appropriate time! Just a few of our favorite Valentine's Day/Love books! This heart blanket is from a lady my mom knows. 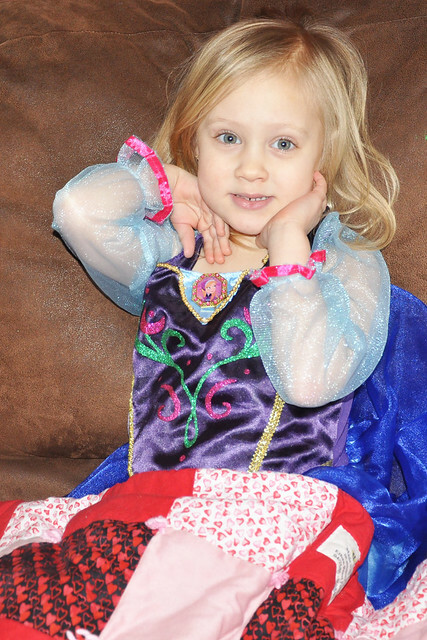 She made a blanket for Lily and Liam, and now we have this one. She makes all the blankets in memory of her grandson, who passed away just after he turned 2. She sews a little patch into the corner of the blankets with his name, date he was born, and date he passed away. Even though we never met him, we think of the little boy who is loved and missed so much every time we use these blankets. A special Valentine's Day brunch for my family. Valentine's Day doughnuts will be involved, and I already purchased new plates, cups, silverware, and a treat for the kids (everything is from Target). I hope it makes our day extra special! I hope you all have a great week that's filled with love! Happy Valentine's Day! Thanks! Luckily, we can keep wearing them year round! Ha! So fun! I really want to smell that sentsy scent now :)! 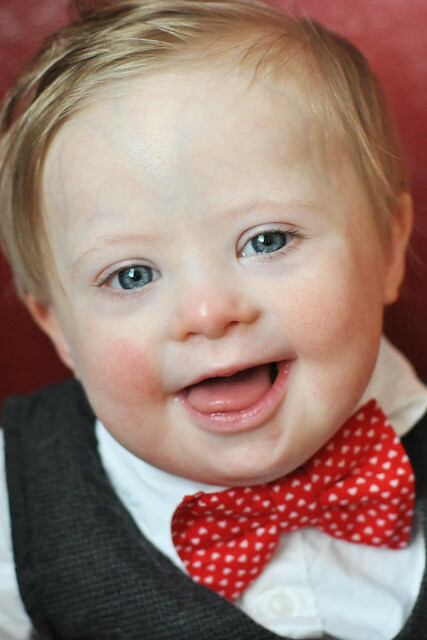 Liam is just TOO cute in that little bow tie!